BeoVision Horizon is a modern 4K UHD screen that gives you total flexibility in terms of placement options, a stellar and forceful sound experience, amazing picture quality automatically adjusted to content and light conditions – and integrated access to all your entertainment through the Android TVTM platform. BeoVision Avant is a state-of-the-art TV featuring Ultra-High Definition (4K) images, a powerful 3-channel speaker system and total flexibility in terms of placement options. Visual impact isn’t just about pleasing the eyes. Our ears are also crucial in shaping our perception of reality. 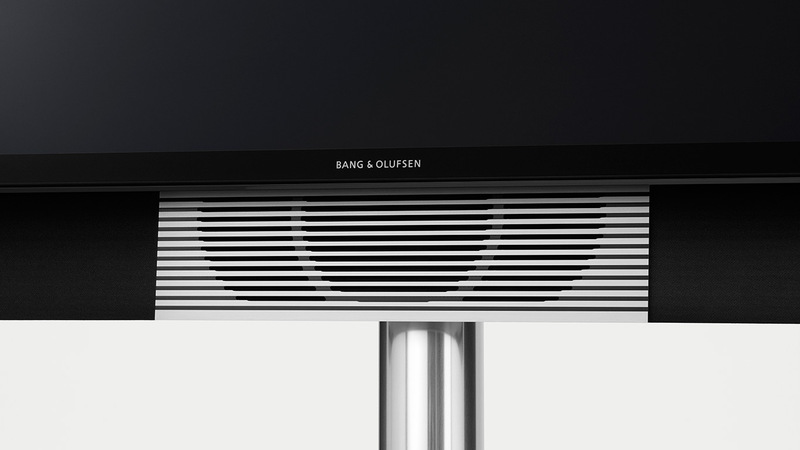 By combining stunning image quality with exceptional sound, Bang & Olufsen TVs deliver experiences that are way beyond the sum of its dimensions. Lean back and experience TV with powerful sound, channeled through dedicated audio features. Imposing bass, custom drivers and powerful ICEpower amplifiers, honed and harnessed for an acoustic experience that’s felt from top to toe.